This study is usually used as a study plan for a book of the Bible. 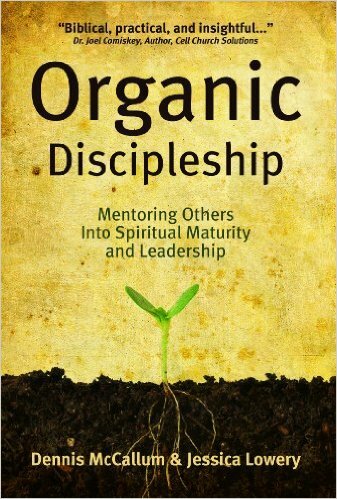 Disciple makers will typically select a short book like Ephesians or 1 Thessalonians to study. Then they will go over this plan, demonstrating how it works in the chosen book. After getting a start while together (perhaps in the first chapter or two), disciples are challenged to do their own work before the next meeting. The discipler maker will also do fresh work on the same book and during the next meeting, they will compare their work and talk about what they have learned. The hope is that disciples will gain a sense of mastery in their ability to read the Bible and analyze what the text is saying. Inductive study is a process where the student gathers as many facts about a passage as possible, and only then draws conclusions about the meaning. The main point of the discipline is to teach disciples how to interpret individual passages in the context of the whole book. It also teaches readers to avoid jumping to conclusions based on similar words or expressions in other, unrelated passages. The title should be short. No sentences are allowed. A phrase of a few words is the maximum length. We are not writing synopses. Summarizing compels us to get the main idea clearly fixed in our minds. The title should cover all of the significant content in the paragraph. If there is subject matter that is not covered in your title, you need revision. Decide how you will determine where the paragraph divisions belong. If studying with a study group, it is probably best to stay with the existing paragraphs. However, if studying one-on-one, you may not agree with the paragraph divisions in your translation. These are purely a matter of opinion. You may decide to divide the paragraphs in a different location than those used in any particular version. Feel free to discuss where the divisions should be, and why. (Remember they are not inspired, and are different from one version to another). B. Compile all the references to the author, audience and key third party. This is usually done by drawing three columns on a sheet of paper—one for the author, one for the audience, and one for others. The data should be referenced with the chapter and verse, and marked with an asterisk if the insight is implied rather than directly stated. The implied data are less conclusive in reconstructing the historical situation. C. Summarize their respective situations with a short paragraph. D. Record your conclusions about the author's reasons for writing the book. Differentiate between major and minor reasons. Remember that this could affect the interpretation of some passages. Specific Study (six questions for each paragraph). After doing the overview study for the whole book, go back to the beginning and do the following six studies for each paragraph, recording your findings as you go. For any of the six questions that don't apply in any given paragraph, just put N/A. Identify and define the key and difficult words and phrases. If necessary, perform word studies using concordances and lexicons. Look at other uses, especially by the same author, to understand the likely meaning of words and expressions. In some cases, the style of the paragraph affects its interpretation. This is the case if the author employs sarcasm, parable, diatribe or poetry. How does your understanding of the historical setting affect your understanding of the words? Identify and explain any additional historical references. What does this paragraph teach about theological issues such as the nature of God, sin, man, Satan, salvation, the church and the Christian life? Limit your observations to the information in the paragraph at hand and the preceding paragraphs. How does this paragraph fit into the overall purposes of the author for this book? Why does he write this paragraph? Why does he include it here? How does it relate to the structure of the book? This is the question that gives depth to your interpretation and ensures that your application is legitimate, because you are making the same point the original author was. In the Strategic question, you are asking yourself, how was this supposed to apply to the original audience? How does what is taught in this paragraph apply to our world today? How does it affect your overall Christian world view? What are the implications for the church or for individuals? How does this paragraph contrast with faulty views in the world today? How does this passage apply to my own life and ministry? What are its implications for my sin problems, relationships and general spiritual growth? What are its implications in the same areas for the people in my ministry? The point is to make sure you are applying the passage to actual situations in your life, as God used the Bible to speak to your life.